I like this Francoise Hardy song. Good morning Dave, happy August to you too! Yeah, the WFMU schedule is upside down here! Definitely 10 o'clock actually. Sometimes I think too literally. Thanks for rubbing that in! Ha! I saw that and growled again at my phone. Nope..... Oh well. Just have to get dressed quickly and get to the car! when Station Manager Ken kept changing his nickname in the chat during his show, I changed mine, too, & now I can!t change it back! You don't like the exclamation points? Glad you enjoyed it Mistah B! But my profile url changed & everything, & i can't get it back? should i ask kenzo? Thank for listening, everyone, remember The Party Faithful next week! Thanks sara.... that is the story of my world... ha! I have insurance on the phone for matters like this, so I will get them to fix it. I have a feeling it could be the headphone jack. Sometimes a button inside gets triggered and you have to push it again to get it back. Has happened to my computer before. Holy smokes. 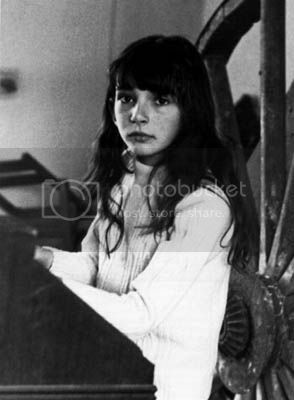 Is that a very young KaTe photo I've never seen? LOOOOVING the KaTe!!!! I can never NOT crank up Leave It Open! !